Slappey & Sadd, LLC is an experienced Atlanta based team of personal injury lawyers that successfully handles Elder Care Abuse – Nursing Home Negligence Injury and other Personal Accident Cases resulting in wrongful death or severe injuries that may permanently impact your loved ones long-term health including wrongful death. We represent clients not only in Atlanta but throughout Georgia against nursing home abuses and other managed health care facilities. At Slappey and Sadd, our elder care abuse attorneys are dedicated to providing victims and their families with the information and resources they need to help protect against abuse, neglect, and mistreatment suffered at the hands of incompetent nursing homes and their staff. We also represent people who have been injured in long-term care facilities in cases involving medication errors, falls, abuse, infections, malnutrition and dehydration. We work with victims of elder abuse and nursing home negligence as well as their families to help them work through a traumatic and emotionally upsetting time. Our nursing home elder abuse lawyers are passionate about our work with victimized clients, and we want to help our clients and their families find the support they need, legally and emotionally. Our experience with your firm was first rate. You provided an outstanding job and your staff was great too! Thanks for all you did. Nursing home abuse refers to the physical or emotional abuse of elderly and other vulnerable adults that take place in residential, long-term care facilities or nursing homes. It is also sometimes referred to as institutional elder abuse by many lawyers. The specific legal definition of nursing home abuse varies from state to state, but in most states it is considered a criminal offense and falls under the general heading of elder abuse. Other types of elder abuse are domestic abuse (abuse or neglect committed by a family member, friend, or caretaker) and self-neglect (in which an elderly person fails to care for him or herself). Elder abuse in nursing homes is a growing problem in the United States. In 2001 the Special Investigations Division, Committee on Government Reform, U.S. House of Representatives, reported that almost one-third of nursing homes in the United States were cited for abuse violations over a two-year period. Elder abuse may be physical, sexual or due to neglect. Physical abuse includes situations in which a resident is kicked, beaten or otherwise physically mistreated. Sexual abuse most often occurs when a resident is fondled, subjected to sexual contact, or raped. According to the Federal Nursing Home Reform Act of 1987, all residents in nursing homes are entitled to receive quality care and live in an environment that improves or maintains their overall physical and mental health. This includes freedom from abuse and neglect. Yet, the most prevalent types of elder mistreatment in care facilities are abuse and neglect. The bottom line is that abuse and neglect are criminal acts. It is a violation of State and Federal law for any person, including facility staff, volunteers, visitors, family members or guardians, or another resident, to neglect or abuse an elderly resident of a nursing home. Nursing home abuse and neglect is associated with several types of injuries. Among those, bedsores, malnutrition and dehydration, and fractures are most common. Elder Abuse is a hidden problem and few people feel comfortable talking about it. In fact, abused seniors often refuse to report abuse, and when they do, they may be called demanding, confused or senile. If a nursing home fails to administer care in a professional and compassionate manner, and you or your loved one has suffered from inadequate care, you may be entitled to compensation. The federal government and each state protect the elderly from abuse by providing a legal cause of action against the abusers. In many instances medical malpractice claims may be filed if it can be proven the health care provider did not give reasonable care to their patients. Health care providers include nursing home professionals and staff. In many cases, the abuse is criminal and criminal law applies. Certain time limitations may prevent you from filing your claim if you delay in pursuing your right. Therefore, it is critical to contact an elder abuse attorney as soon as a possible once you suspect that an abuse has or is taking place. The elderly lose millions of dollars each year because of financial exploitation. Sometimes the exploitation is the result of a con artist’s scam. Other typical abusers include caretakers (paid or volunteer) and professionals. Sometimes, the victim’s own family and friends take advantage of or steal their financial resources. Financial exploitation can range from misuse of an elder’s funds to fraud, taking money under false pretenses, forgery, forced property transfers, purchasing expensive items with the older person’s money without the older person’s knowledge or permission, or denying the older person access to his or her own funds or home. It includes the improper use of legal guardianship arrangements, powers of attorney, or conservatorships. Financial abuse can be defined as the improper or illegal use of the resources of an older person, without his/her consent, for someone else’s benefit. Typical examples include con artists soliciting donations for charities, friends or family persuading the older person to give money, or even power of attorney. If you need help with loses resulting from nursing home of elder care above, call experienced Nursing Home Abuse Lawyers, Slappey & Sadd at 404.255.6677 or toll free at 888.474.9616 for a consultation at no charge for you. Fortunately today people live longer than they did than ever before and for most of the later years the quality of life is good. There is still a point when people pass a certain age and they may be no longer able to manage on their own in their own homes. Sometimes the elder or his or her relatives opt to find a safe haven so that the elder can live out the last years to the fullest. Typically, that means finding an establishment that specializes in elder care. These are normally self funded and the elder expects to get the best care from his or her investment. This usually works out well until the elder’s health starts to deteriorate and the help required becomes more intense. The elder facility is normally staffed by dedicated professionals who understand the needs of older people. In some institutions there may be a few who are not so sympathetic and get impatient when an elder loses his or her mental or physical capacity. This often leads to neglect as the elder has limited ability to react but sooner or later relatives start to notice that the elder care is not as good as expected. Trips to see the elder may reveal certain signs of mistreatment, such as bedsores, because the elder has not been moved frequently enough, or soiled bed linen because the elder is unable to protest if the linen is not changed often enough. 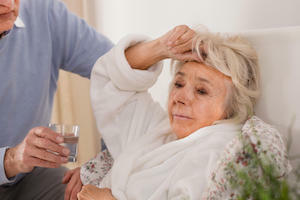 Poor elder care shows itself in a number of ways but if it is clear that the elder had been harmed in some form the relatives may have the legal right to file a personal injury claim on behalf of their elder against the person or care facility that is found to be responsible for the injury. No elder or their family should expect to find their loved ones abused or injured in a care facility. If they do they should discuss the issue firstly with the management of the care facility. If no improvement is seen in the treatment of the elder and injuries are becoming commonplace it will be necessary to hire an experienced elder care attorney who knows the signs of mistreatment of elders. If the elder dies as a result of injuries in the care facility or experiences scarring from physical abuse the family is legally entitled to file a wrongful death or personal injury claim if the death or injury has occurred due to mistreatment at the elder care facility.